In our 2nd ed AD&D Campaign Arachnophobia we finally had our first instance of Time Travel in a Dungeons and Dragons game. We looked earlier at the Chronomancer class and the entire book devoted to it in 2n Ed, but until now we had not realized its potential. Here is the story of what happened... Which requires us to go back in time a bit. 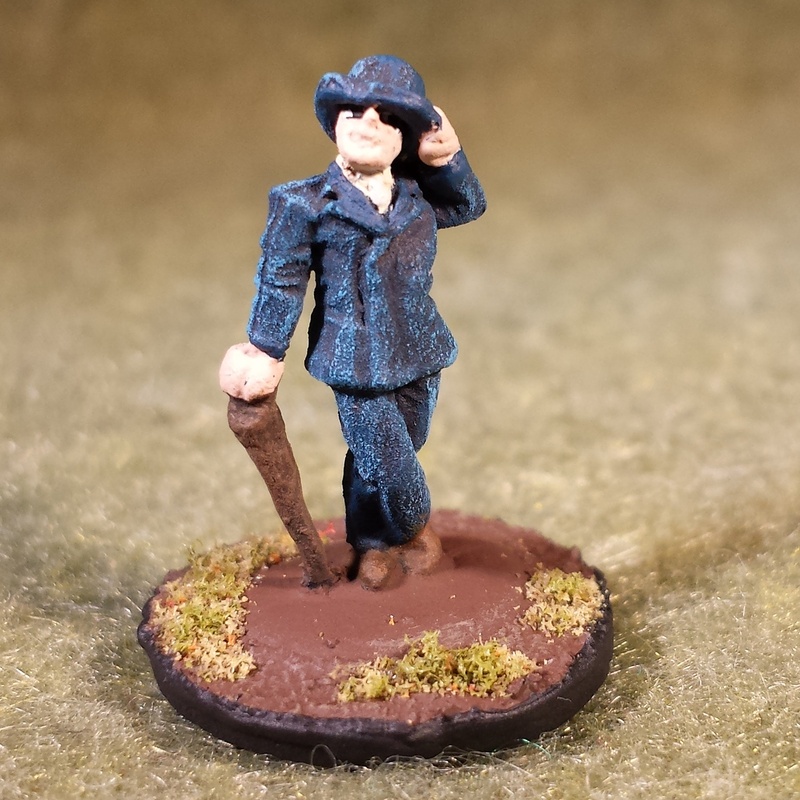 In Arachnophobia Game 4 the party lost one of their NPC companions: the Shepherd Allison Rey. She had been with them since the very beginning, but unfortunately a giant spider took her life while they battled them in defense Remfeld: a town not 80 miles from their home in the small village of Barleydale. We stopped Game 4 shortly after the encounter, and picked up the scene again in Game 5 with the party standing in the field; Allison recently slain. With nothing to do but continue on, they turned their quest and went to sleep. The next day they played through normally, collecting their reward (supplies for the next leg of the journey that was presented to Thomas the Chronomancer/Party Leader), they arranged Allison's funeral, got a job from the brewery in the direction they were heading, and managed to gain another NPC (Named Max Flailer) to the group when a friend of ours joined us for the game. Things were going well. The party was back up to 8 members and they had the supplies they needed for at least the next few days of their journey. They also had the admiration of the town, and a feast being prepared in their honour. Life was good, but Thomas wasn't satisfied. Just before the group prepared to go to Allison's Funeral, Thomas looked at their new companion Max Flailer and blinked the two of them into the Temporal Prime using the Time Slip Spell. In this demi-plane of reality, the player can view all of time through the lifelines of those around them, and travel up stream to go back in time or down stream to go forward. 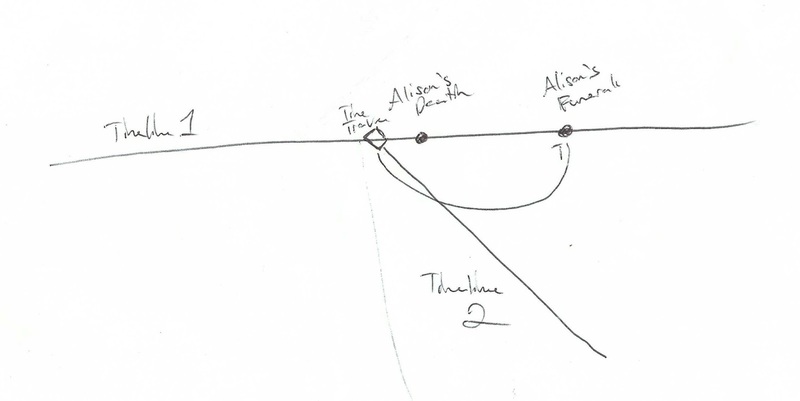 With some difficulty Thomas was able to find where Allison Rey's life line stopped up stream from where they stood and used a second Time Slip spell to return to a point 15 hours in the past. When Allison was still alive. Thomas and Max Flailer jumped out of the Temporal Plane and arrived only 3 out of a possible 10 miles away from where the party was resting in Remfeld before they encountered the spiders the night before. We were now at the end of Game 4, and Thomas and Max were had gone back in time resetting the entire game we had just played through and then some. To find his way back to Remfeld, Thomas easily climbed a tree as he often did, and spotted the village close by. 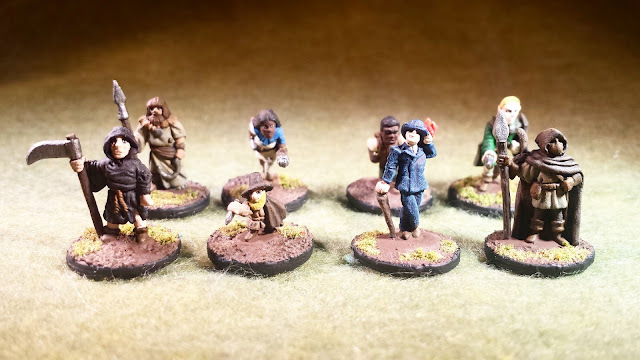 To save time he then summoned a mount with a spell and he and Max rode it back to Remfeld and into the Longhouse where the party and a very much alive Allison Rey awaited them. So from the rest of the NPC and Player Party's perspective, the entirety of Game 5 never happened. Though many didn't believe him, Thomas managed to convince the party to flee Remfeld in the night, having been given the reward for completing the quest in another time line, and warning them of Allison Rey's death.... And this is where things got a little confusing. It did make sense when he explained it. In the end Dave was right. While he Thomas and Max were in the Temporal Prime their time lines were effectively removed from reality. Players have no memory of them, and the time line adjusts to fit that. We even played through a section a section where there was a version of Arachnophobia without Thomas in the party which meant that the mantle of leader had fallen to Enoch The party's Priest. In this weird time bubble while Thomas was gone, Enoch and with his 5 other party members (excluding Max and Thomas who never existed) attended Allison Rey's Funeral and even gave a prayer or spoke some words in her honour. However when Thomas reinserted himself back into the time line 15 hours in the past, his time line re-materialised with a weird twist leading back on itself. His action in a future time line effected the past, creating an entirely new time line form that point onward. Essentially Thomas' very existence is a paradox. he remembers his actions in the other time line, and can take 1 person and up to 25lbs/level of equipment with him as well. That means the reward from the other time line, does de-materialize as a result; it just becomes part of the paradox that is Thomas' existence. And that is basically how it works in the Chronomancer Book. So yes Dave's Chronomancer Thomas can create paradoxes. He was able to go back to a time before Allison Rey was killed, and both complete the giant spider quest in in one time line to gain the reward, and go back in time and convince the party to not go through with the quest in the first place, thus saving Allison's life. And that is exactly what he did. The party agreed to leave that night before completing the quest in order to save Allison, and they agreed bring the companion that Thomas had brought from other time line -Max Flailer- along with them. Adam, who controls Enoch (the Priest I mentioned earlier) is a Death Priest, and his strange religion abhors the undead, and anyone who cheats the grim reaper of his due. 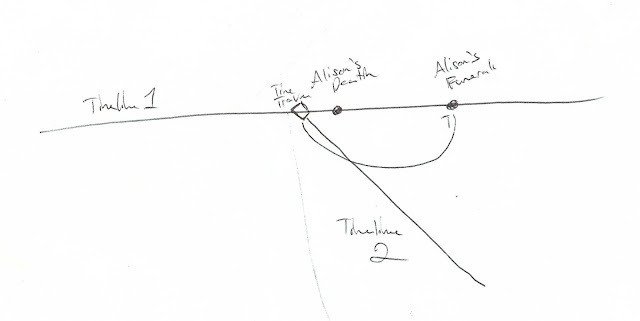 Thomas warned the party that going through with the quest would lead to Allison Rey's death and so in Enoch's eyes Allison Rey cheated death, and must die. Which of course creates a whole new slew of problems for the party to deal with. After travelling through time and over an hour and a half's discussion about the implications, we decided to leave it there for evening and let me sort out the pieces for next game. Now, I did award the players the XP for the day that Thomas erased, explaining it as a strange after effect or a sort of time ripple. I felt cheating everyone of a game's play wasn't the right thing to do as a DM. And there you have it! 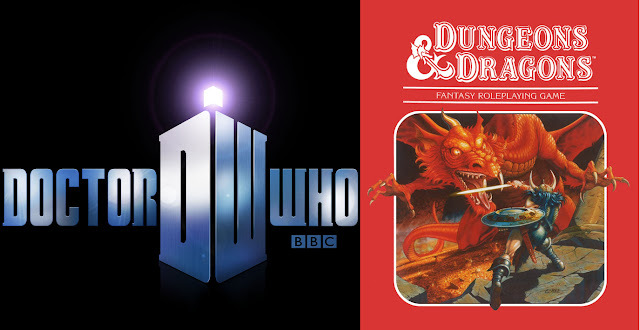 That was our first experience with time travel in a D&D game. What do you guys think? 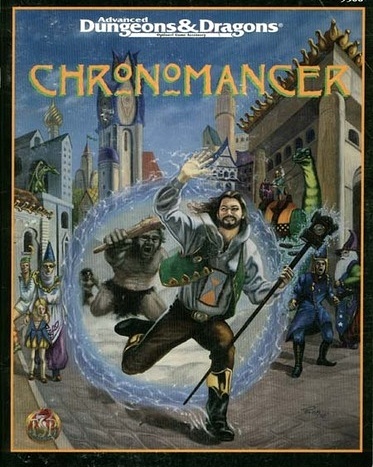 Would you change how the Chronomancer book handles Time Travel? And what are you stories about manipulating the 4th dimension in game. Tell us in the comments below!